The Beacons, as they are known, offer anglers a wide variety of angling situations and are capable of producing good catches of fish throughout the year. 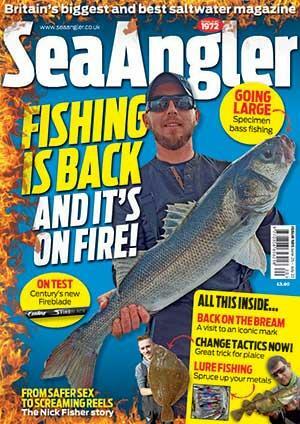 During the winter, the deep water close to shore offers anglers unrivalled cod and coalfish sport. The end of July and the beginning of August produce mackerel, with the higher vantage points often the hot spots; early morning and evening tides are best. These marks are generally a good barometer of how good or bad the fishing is in the region. Quality cod fishing, but often coalfish will also show in good numbers. Other species, such as eels, bass and whiting are taken occasionally. Mackerel in good numbers in summer during calm spells when the seas are flat. Peeler crabs are best, with white ragworms and lugworms also capable of taking fish. Many visiting anglers use runnidown lug to good effect. Many of the fish are taken on clippeddown rigs from distances well in excess of 100 yards. Use a quality rod that is capable of casting two big baits a good distance, such as a Cono-flex Armageddon, coupled with a 7000-type multiplier reel, 25lb mainline, 50lb shockleader, a maximum of two hooks and 6oz breakout weight. Take the A189 north past Blyth and head for Newbiggin. At the Sandy Bay roundabout, take the B1334 east, signposted Newbiggin, then drive straight through the town centre and park near the golf club or at Church Point car park where the road ends. Take the rough track north along the cliff tops and the marks are ten minutes away.